Looking for a brand new experience? What better way than at a brand new hotel or resort? Here are 10 brand new or newly renovated hotels and resorts that you could be the first to experience in 2017. 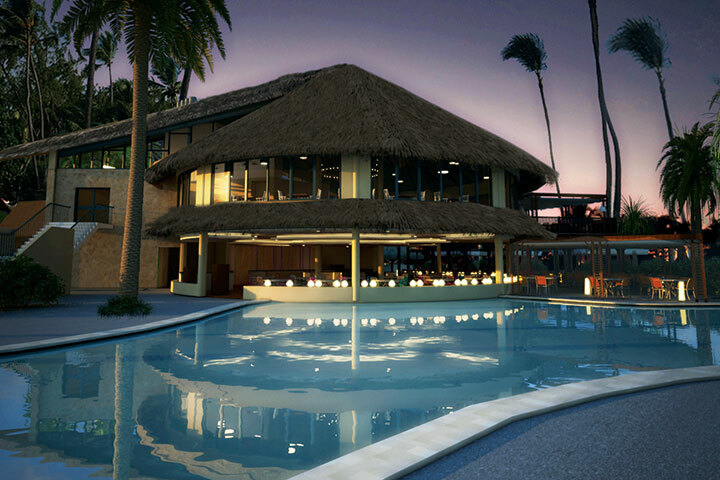 On a remote beach in Punta Cana, this secluded paradise offers up all-inclusive Unlimited Luxury® in the form of gourmet à la carte dining, ten bars, live entertainment, kids and teens clubs, world-class spa, and lively nightclub. Now is where the party begins – and if you’re partied out, try your luck at the state-of-the-art casino. Get into this Cancun paradise re-opening and immerse yourself in beachfront – and now adults-only – bliss. After a major renovation, this resort is ready to be experienced. 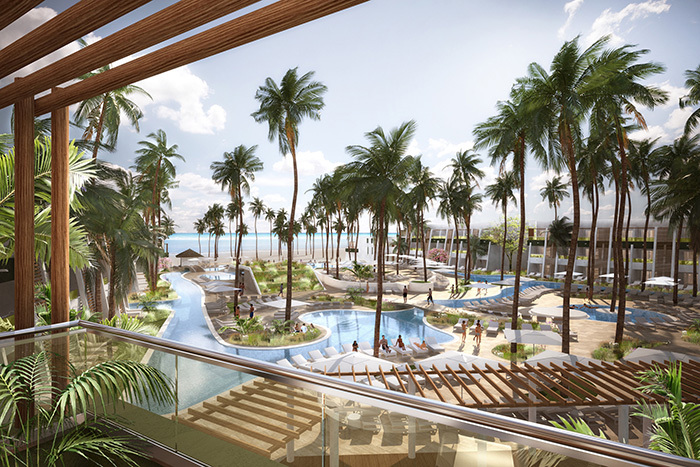 With live music, fast-paced dancing at the Pacha Club, and situated perfectly by bustling shops, bars, restaurants, cafés, clubs, and the amazing atmosphere of Cancun, this all-inclusive oasis boasts big amenities all within a brand new place. This comfy – and sunny! – Dominican escape is made for families looking to have some serious Unlimited-Fun®. Located on pristine El Cortecito Beach, this family-friendly refuge features kids and teens clubs, onsite PADI certified dive center, nearby excursions, over 20 restaurants and bar options, music lounge, a tremendous theater, and big screen movies on the beach! All this and perfectly spacious and cozy accommodations. Enter into a whole new room category of awe-inspiring luxury. With new – and Grand – additions and room categories at Moon Palace, the view is your choice, whether an ocean panorama, the lush grounds, or overlooking the golf course. No matter what, your new view at Moon Palace will be breathtaking. Maybe Cancun’s hippest and trendiest spot, this grand getaway boasts ten restaurants, nine pools, seven bars, a Jack Nicklaus signature golf course, mesmerizing lakes and jungles, and a correctly named Awe Spa. Connect with nature at this upscale, boutique resort in the Ironshore neighborhood of Montego Bay, Jamaica, just steps from the Caribbean Sea. 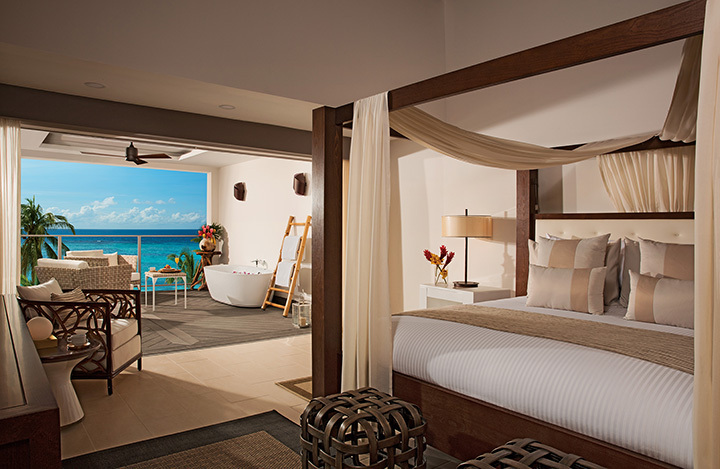 With just 49 suites designed specifically for holistic purposes and in accordance with Jamaica’s natural beauty and ecological décor, enjoy a serenity and calm that could only be found here. Wake up to yoga and meditation, pause at the amazing spa, and dine with Endless Privileges® on organic, fresh, and locally grown ingredients. This is the brand new way you want to get on island time. A new hotel in the heart of Rome? Yep. It’s true. Centrally located, and steps away from Termini Station, this hotel is really as good as it gets. Preserving its historical roots in design and in architecture, this Italian gem is also an innovative, modern, and elegant hotel, built for relaxation after a long day of exploring. Up-to-date technologically and featuring a piano bar and classy restaurant mixing Mediterranean flavors with a wide choice of international cuisine – not to mention the extensive wine list truly only found in Italy – this city-treasure is one-of-a-kind and one you can experience first! This is your fast-paced, Unlimited-Luxury®, adults-only, party paradise. Surrounded by gorgeous Montego Bay Marine Park, what you get on site is five stories of bliss. Built for our modern, technological times, sprawling in a chic design, this trendy resort has the only rooftop pool and bar in Jamaica. 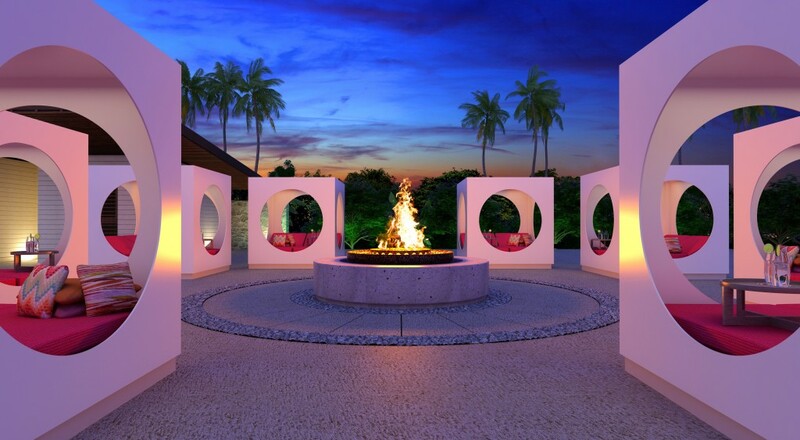 Chill by a fire pit or in a cabana, or by one of the five bars and lounges – no matter what, you want to be first to this party. For boisterous family-fun, with a touch of slime, this is by far the wildest ride in the Caribbean. This Gourmet Inclusive® resort features great restaurants and bars and other amenities for adults, and – of course – plenty of amenities for children. Kids enjoy hanging out with some of their favorite characters, like SpongeBob, getting active at the sports facilities, chilling out in the clubhouse or entertainment complex, and slippin’ and slidin’ at the Aqua Nick Waterpark™. Prepare to get slimed! 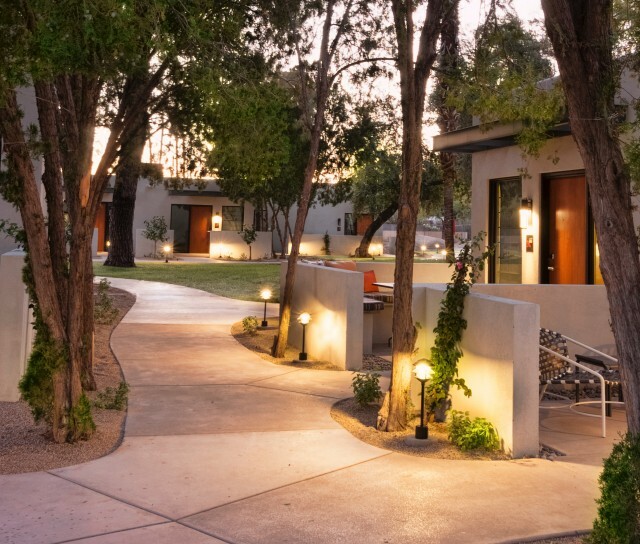 With a mountain backdrop and bungalows inspired by the surrounding desert landscape, this resort & spa makes sure to complement everything with the natural beauty surrounding it all. Dine in the glass-paneled restaurant with open kitchen, plancha grill, and exclusive chef’s table, and always enjoy the view. The open design is meant to intermingle with the vastness of the Arizona desert. With three pools, Pale Verde Spa & Apothecary, explorations to Camelback Mountain, Pinnacle Peak, and other nature sights, this is a truly relaxing getaway. Also get artistic at the Cattle Track Arts Compound, an artist’s collective on site dating back to 1936, offering workshops and exclusive studio tours. This is undeniably one unique new spot in the desert. Ideally located on the corner of Sunset and La Cienega, this brand new state-of-the-art masterpiece features panoramic views of the Hollywood Hills and the Los Angeles Basin. With a sophisticated, yet casually trendy aesthetic, this cinematically epic hotel boasts a pool deck, private rooftop lounge, curated collection of art by local, national, and international artists, lil’ James Kids Club, Shinola Pet Program, fitness center, and signature restaurant. Live large while being situated in one of the most fascinating cities in the world.